The journey from puzzler to puzzle creator. One puzzle type I’ve not written about until now are Trick Bolts. 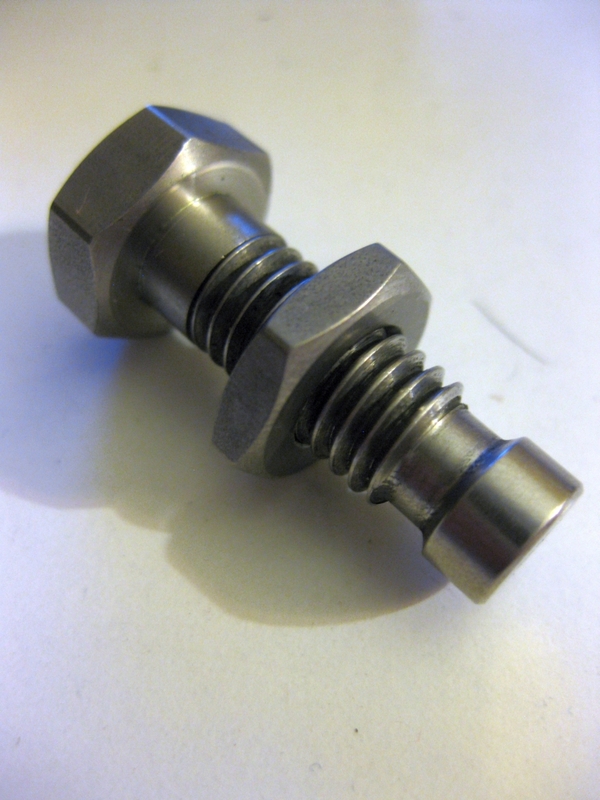 These seemingly innocuous items look just like a screw with a bolt threaded onto it. Of course when you pick it up and try to remove the bolt you’ll find it rather more stubborn than you’d think. Lee Valley, who are well known for their woodworking tools also has a small number of puzzles they sell as gifts. They recently released their second set of trick bolts and with a few of my puzzling friends talking about them, I decided it was time to add a few bolts to my collection. Head over to Lee Valley to pick up your own copies. 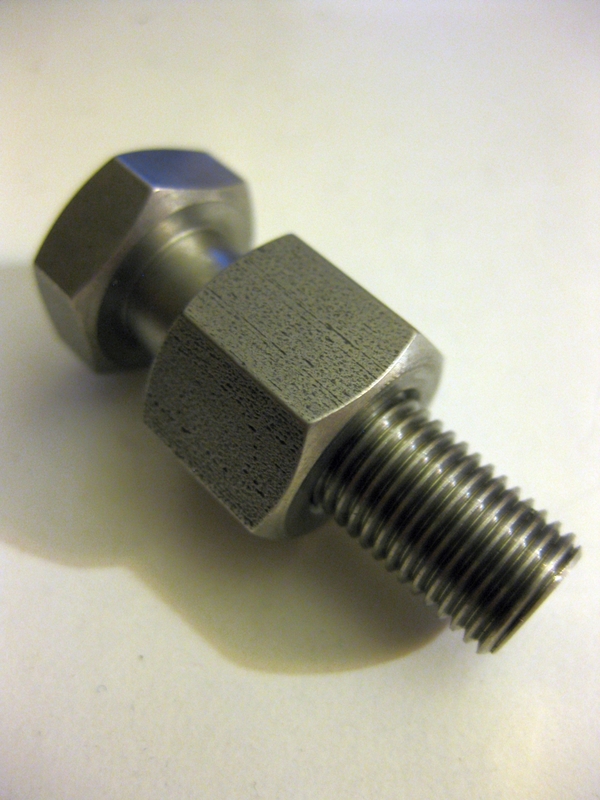 All the bolts are made in their own metal shop and measure 1.5″. 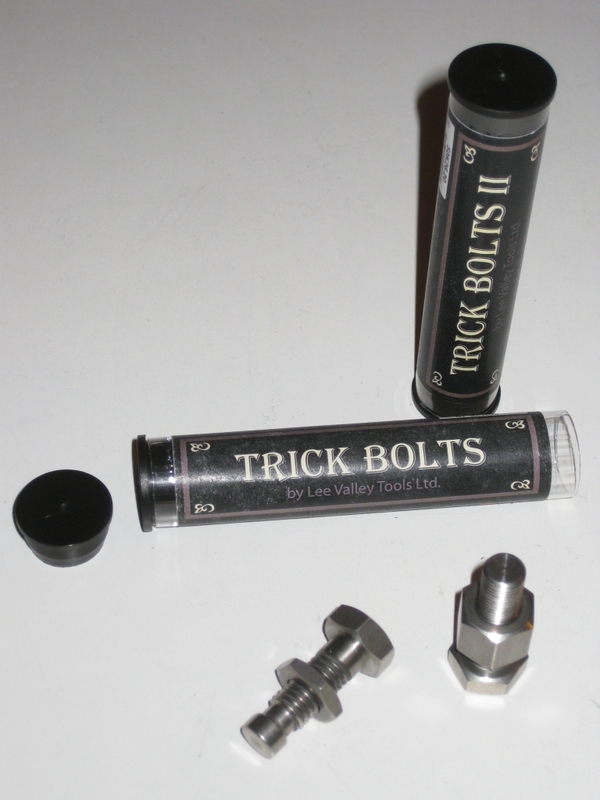 These are probably the smallest of the trick bolts I’ve seen, however the quality is excellent, and they’re not expensive either. In the first set, the two bolts are fairly straight forward. The large nut on this one conceals it’s trick, and while this is a well known puzzle which you could make yourself, this is a very well made copy. If you have any bolts in your collection, I’d hazard a guess that you have one with this mechanism already. 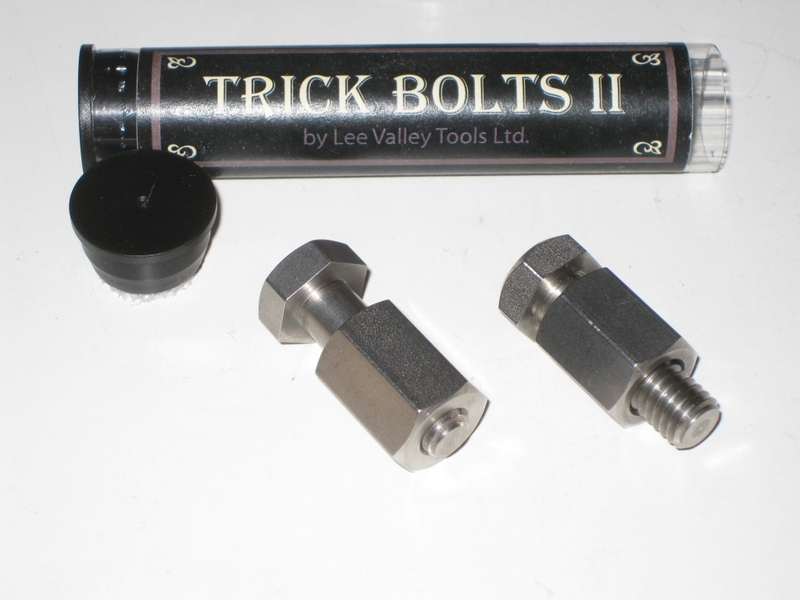 The second of the two bolts with the much thinner nut is able to travel the length of the screw, and will spin freely in the gap at the bottom. 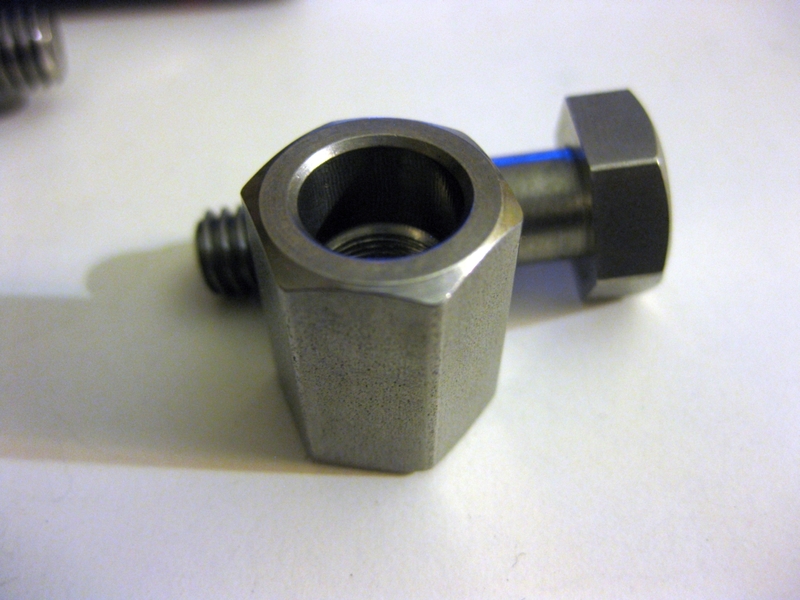 At first look it doesn’t seem like there’s a way to remove the nut. This puzzle has another classic trick which Lee Valley have executed perfectly. While neither of the bolts took me long to solve, they are well made, and are a great piece to hand to friends and introduce them to puzzles. 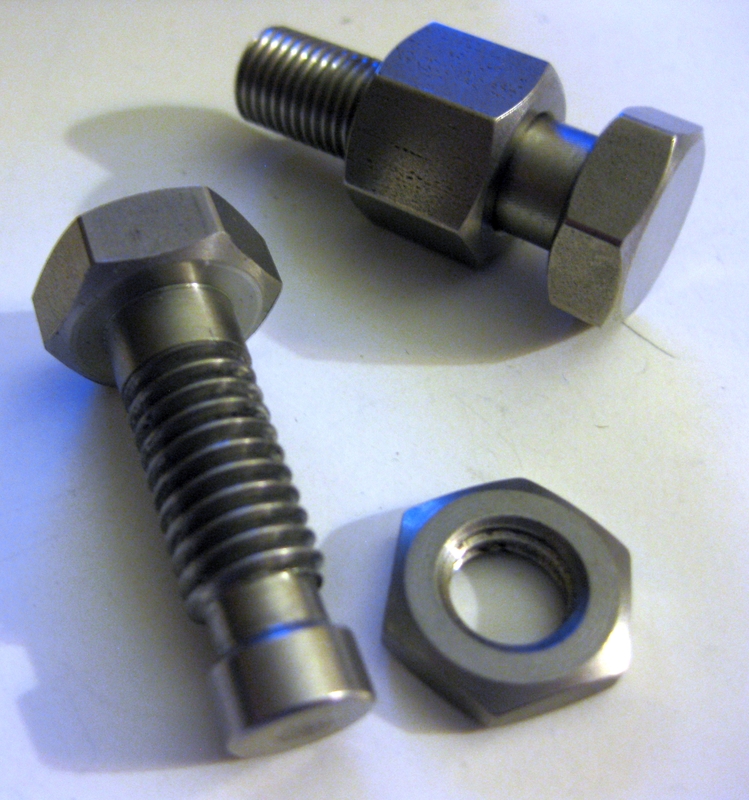 The second set of bolts both look identical, however have very different mechanisms. I’ve not seen these tricks used elsewhere and while neither slowed me down much, they were new and interesting mechanisms. While I can’t show the mechanisms of either of these without giving too much away, both of the bolts require multiple movements to remove the nut, and are well worth the investment. They may all be small, and could easily be hidden in a collection, but I wouldn’t overlook any of these.